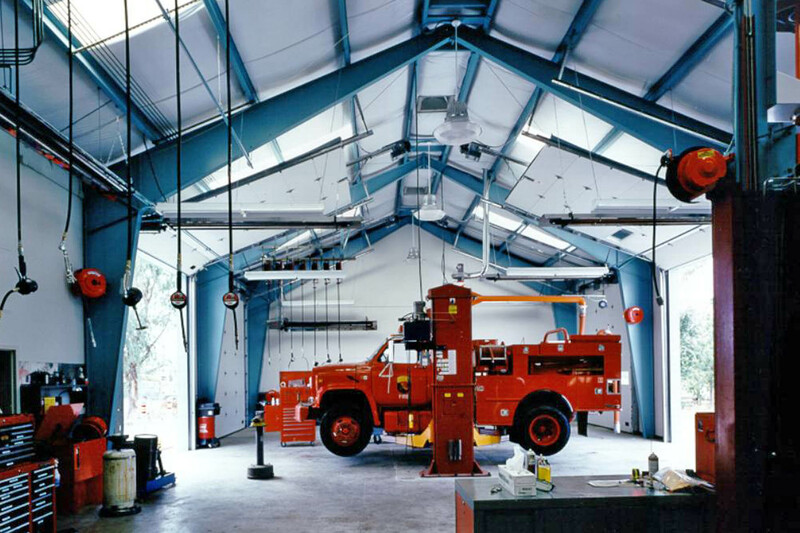 Completed for the California Department of Forestry, this project includes four service bays for repair of automobiles, two-axle trucks, fire trucks and buses. Drive-in welding shop, tool room, parts storage, office, two vehicle hoists and covered exterior vehicle wash rack. A vehicle exhaust system is provided for all repair bays.